The WorldWise resource teaches reading strategies simultaneously with natural, earth and physical science topics. There are 54 student books across the middle and upper primary levels. 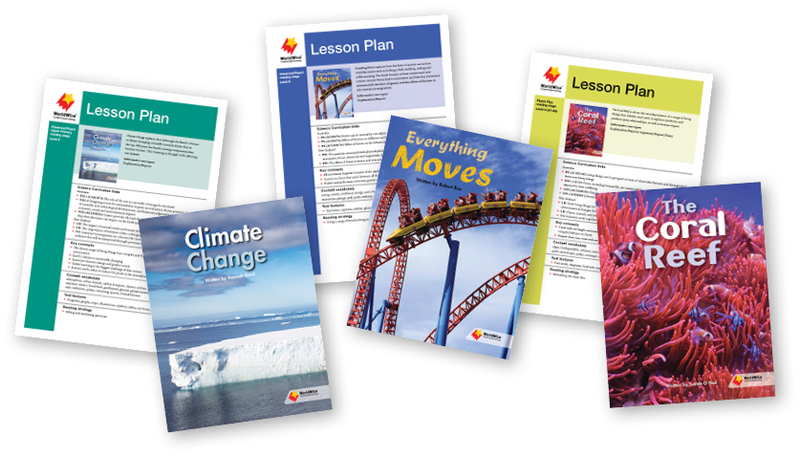 Each title is supported by an accompanying Lesson Plan. The Lesson Plans establish a reading focus with explicit links to the science curriculum. The web-based investigations provide extension activities to encourage further exploration of the content covered in the student books.